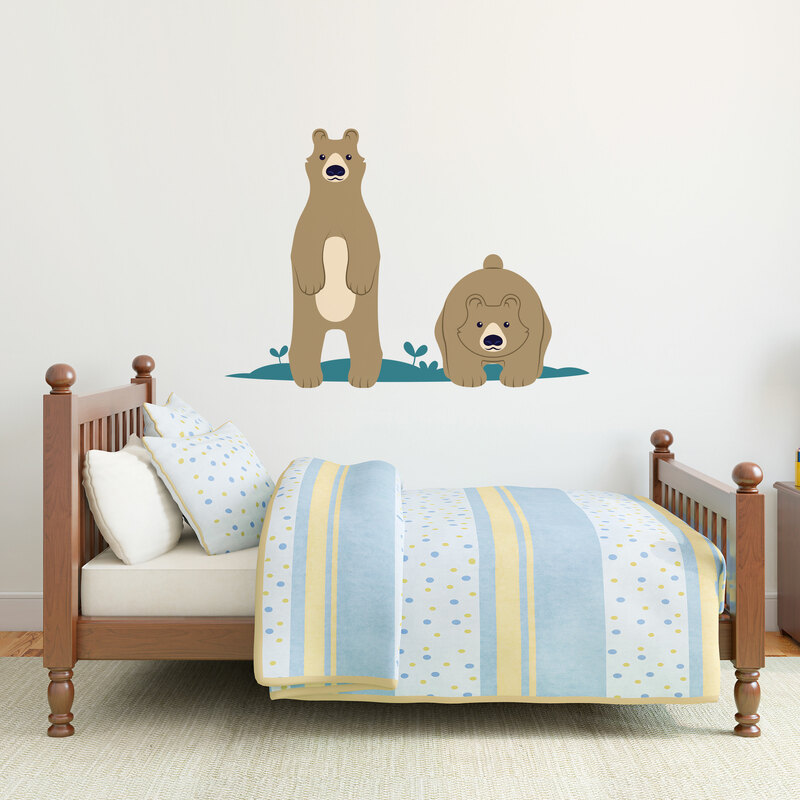 This fun bear pair will warm your heart! 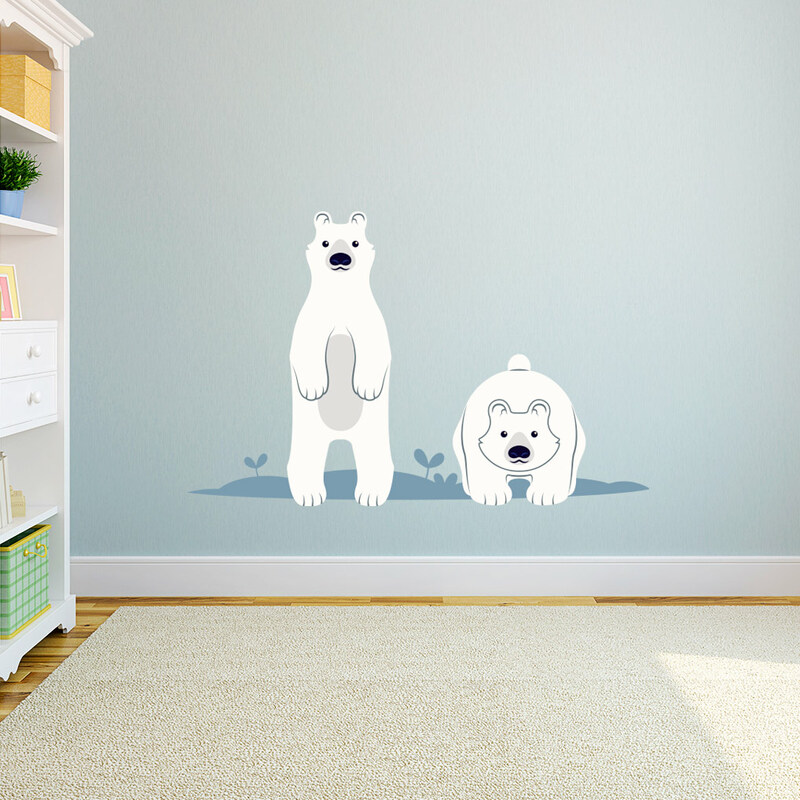 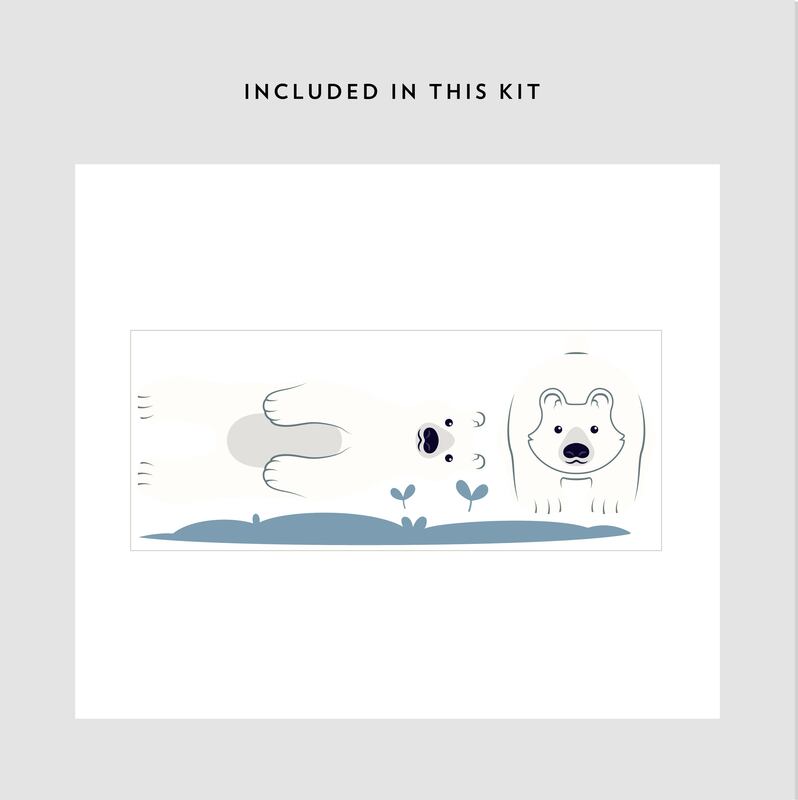 This bear wall sticker is available in 3 sizes. 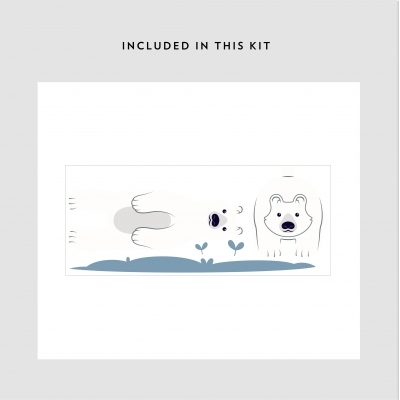 Sheet Size: 25" x 10.5"
Sheet Size: 38" x 15"
Sheet Size: 49" x 21"